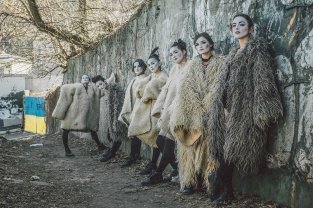 With their sense of emotional urgency, the multi-genre music and theater performances of Ukraine’s Dakh Daughters Band make a lasting impact on audiences. In their search for a new musical style, the Dakh Daughters have found inspiration in 20th-century theatrical avant-garde and cabaret. 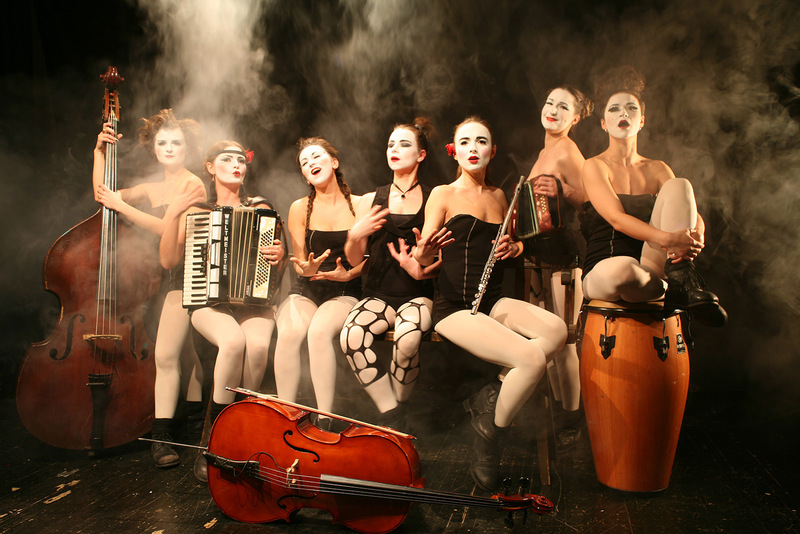 Some critics have compared their poetic style and expressive theatrical hyperbole with the British cult band The Tiger Lillies. 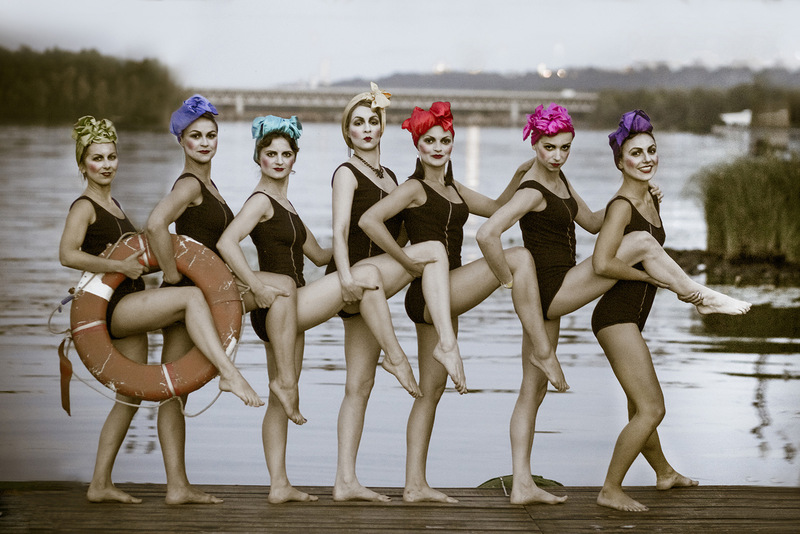 The Dakh Daughters first gained greater recognition thanks to their performance on Kyiv’s Maidan in December 2013. Since then, their civic and political engagement has made them one of the leading symbols of the fight for democracy in Ukraine. 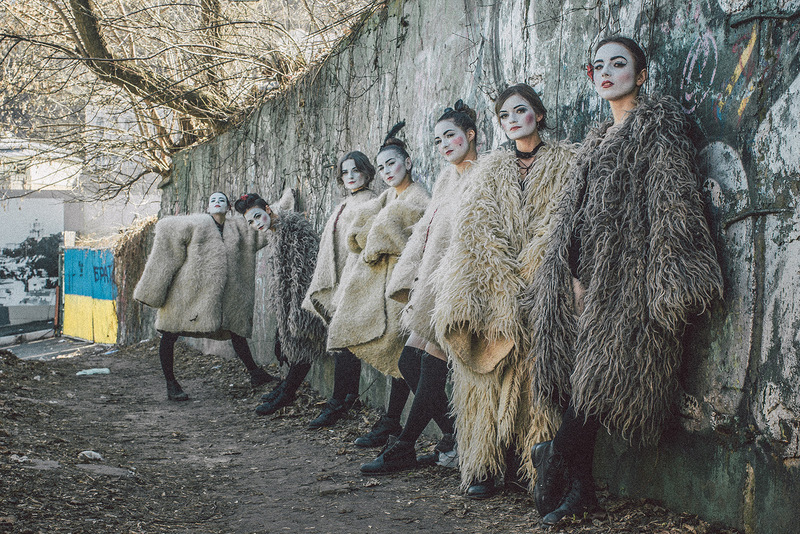 One characteristic feature of the Dakh Daughters is their combination of punk, rock, and rap with traditional Ukrainian folk music and their use of diverse instruments (keyboards, bass, cello, violin, drums, flutes, and accordions) to present a wide range of musical genres. The band’s songs include cover versions of existing songs and original compositions inspired by authors such as Taras Shevchenko, Joseph Brodsky, Charlese Bukowski, and William Shakespeare. In fact, Shakespeare’s Sonnet 35 forms the basis for one of the Dakh Daughters’ most distinctive songs, “Roses /Donbas.” The song’s title refers to the rose in the emblem of the city of Donetsk in eastern Ukraine’s Donbas region – the site of the current civil war. Thanks to their civic engagement, the Dakh Daughters’ performances are an urgent call for reconciliation, freedom, and love among people. 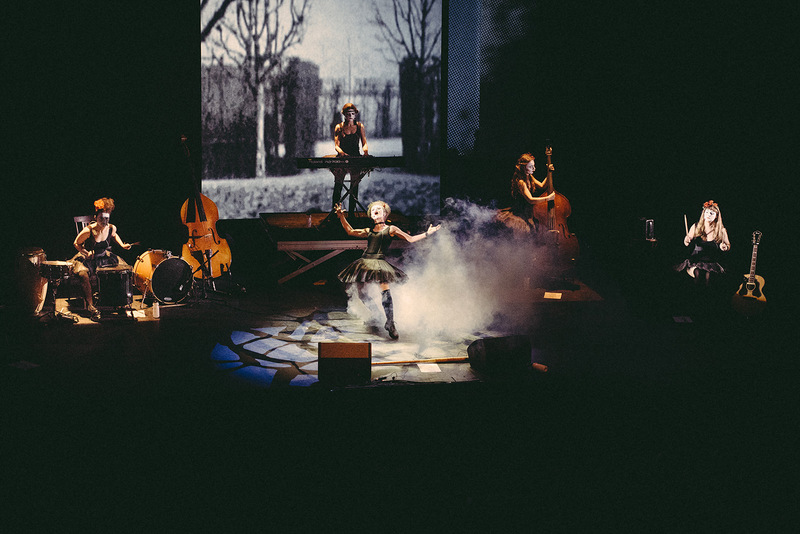 Dakh Daughters Band is a Ukrainian music and theater ensemble founded in Kyiv in 2012. The group’s name comes from the Dakh Theatre, from which it evolved. The band consists of seven women artists who play various instruments and sing in multiple languages and dialects. The band’s musical style can be described as a combination of Ukrainian folk music with elements of rock, punk, and rap. The Dakh Daughters also collaborate on numerous other multi-genre musical projects, including DakhaBrakha and Perkalaba. They first gained greater recognition thanks the video for their song “Roses/Donbas” and their live performance on the Maidan in 2013. 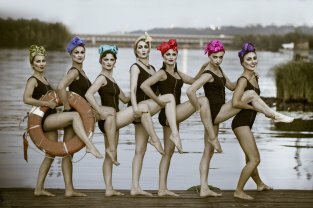 The Dakh Daughters have performed in numerous cities throughout Ukraine, and also in Poland, Slovakia, France, Russia, and Brazil. In November 2016, the band released its first studio album, IF. With a ticket to a performance Roses, the entrance to the exhibition The Experience of exile, which takes place in Star Summer Palace (Prague 6) till 29 October 2017, is FREE.